As a huge Harry Potter fan, I love visiting the Warner Bros Studio Tour London during every season and special event. I have to admit that their Winter Season is pretty special though and may be my new all time favourite! 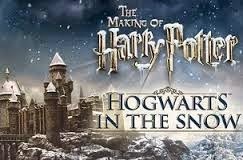 Here are my top ten reasons to visit Hogwarts in the Snow, which runs until 29th January 2017. 1. It’s Christmassy! Nothing can ever replace the excitement you felt as a child in the run up to Christmas, I love festive events which bring back this magical feeling. The trees and decorations are amazing. 2. It’s still all about Harry Potter. The special events are always in addition to the main event. All your favourite sets from the Cupboard Under the stairs, the Great Hall and the Weasley’s Burrow will still be there. If I had these enchanted knitting needles I’d knit everyone Christmas jumpers too! 3. Christmas Jumpers! It isn’t Christmas without a dodgy Christmas jumper. See the hand knitted jumpers that Molly Weasley gave to Harry and Ron for Christmas. The perfect opportunity for you to wear your own Christmas Jumper (and possibly help raise money for Save the Children too!). 4. Christmas Food. In The Great Hall, the tables are dressed ready for a seasonal feast with turkeys, ham, fruit, vegetables and cute snow cakes. In the early films real food was always used on set but thankfully for this attraction artificial food is used so it won’t be whiffy by the time you visit! 5. Christmas Drink. Of course, Butterbeer can be drank all year round but it does seem rather fitting drinking it outside in the surroundings of the snow covered sets. You can also treat yourself to a festive hot drink in the Starbucks in the lobby- I enjoyed a Gingerbread Latte before my journey home, but they also sell Toffee Nut Latte, Eggnog Latte, Honey and Almond Hot chocolate and a Christmas Blend Expresso. 6. It’s all in the details. I love spotting the “little things” that were actually in the Harry Potter films, such as the baubles from the Christmas Trees and the Spinning Witches. 7. It snows. I’m dreaming of a white Christmas. Every bloomin’ year I dream of a white Christmas but it never happens. Therefore I loved getting my snow fix for this year at Hogwarts. It was magical. I loved the snow falling on me while outside in the backlot and also seeing the stunning Hogwarts model covered in snow. It was absolutely breathtaking. 8. Special Effects. There was an emphasic on Snow and Fire during this special event. We found out how they made the snow. We also got to touch all the different types of snow they used- this was a great sensory experience. As it was Winter, fires were lit in The Great Hall and also in the common room and real flames glazed the Puddings on the Banquet tables. At the “Snow and Fire” station, the fire was so realistic that I did get a bit worried when my sister put her hand through it, she was fine though I assure you! This would be a great mug for Dave or Danny! 9. The Shop. Looking for a perfect gift for a Harry Potter fan? Look no further, this shop is perfect for you. From clothes, cuddlies, wands, sweets (have you tried Bertie Botts Every Flavour Beans yet?) the shop has everything to keep fans happy. If you can’t fit in a visit this side of Christmas take a look at the online shop which has a selection of gifts available. Gift Tickets to Warner Brother Studios would go down well too! 10. It’s magical! The Winter Season is full of unexplained magic and so is the World of Hogwarts and Harry Potter. Leave the dark, gloomy, muggle world behind and enjoy the bright lights and snowy magic at Warner Bros Studio Tours London for a few hours- you won’t regret it! Tickets for the Warner Bros Studio Tour must be booked in advance. Buy your tickets here. 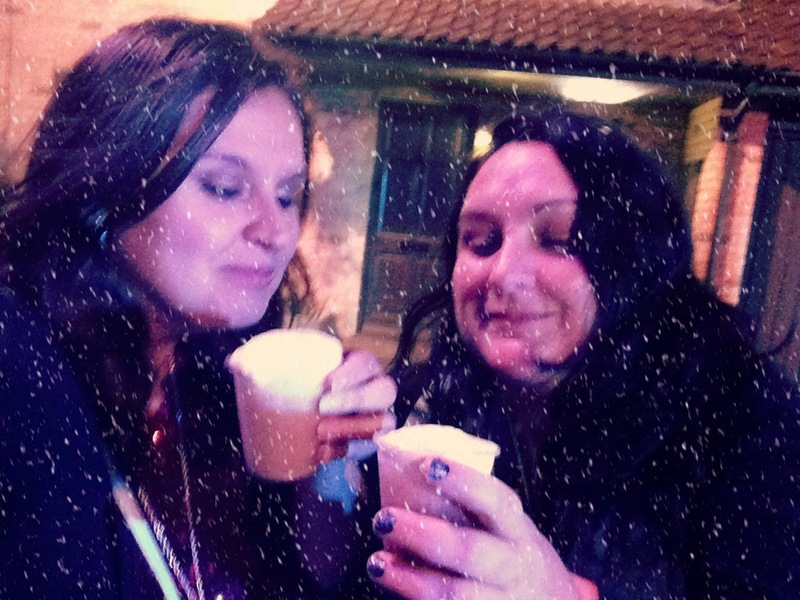 We were invited to the #hogwartsinthesnow preview evening. Next Post Choosing a New House Phone: Retro Style or Modern Features?